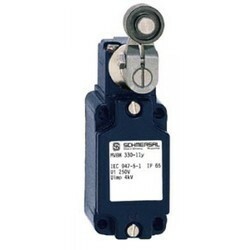 Prominent & Leading Manufacturer from Delhi, we offer schmersal limit switches. Our organization holds expertise in offering the finest quality Schmersal Limit Switches. These products are manufactured using excellent quality raw material and high-end technologies. To meet diverse requirements of customers, these offered products are available in variegated specifications and designs. These can be easily availed from us at unbeatable rates.